VINTAGE YANKEE!!! 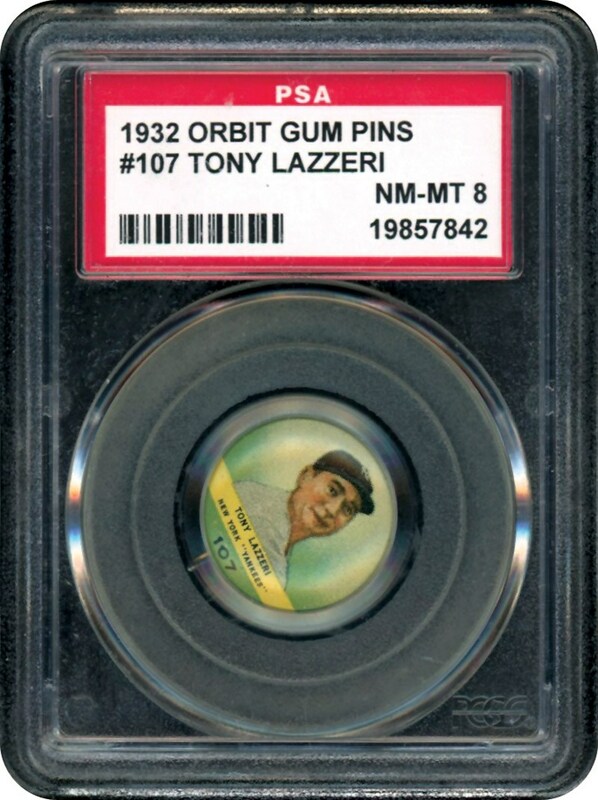 Hall of Famer, Tony Lazzeri, on his 1932 Orbit Pin. 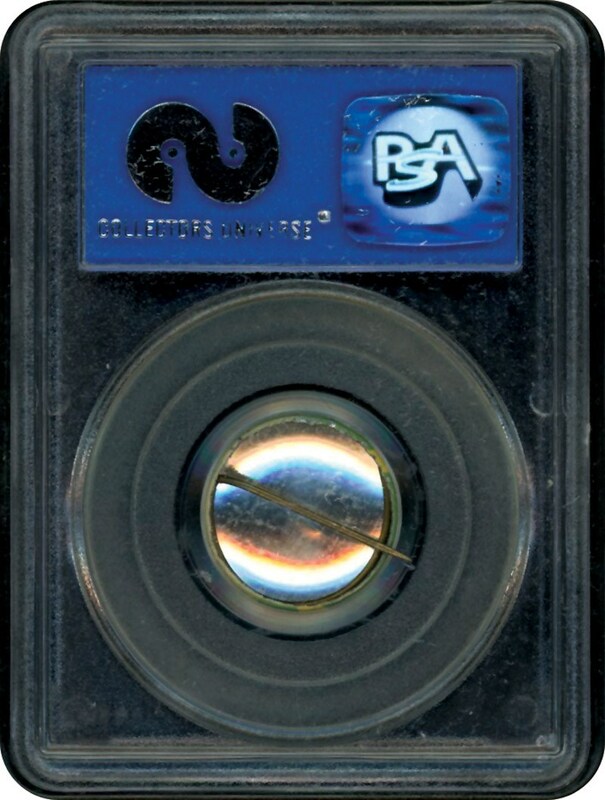 PSA graded 8 NM-MT. Just a handful grading higher than this one.